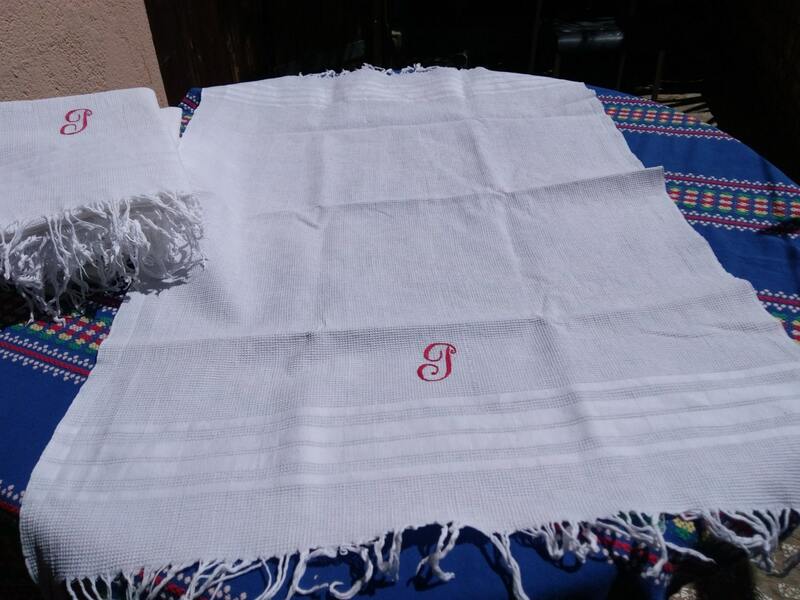 Antique French waffle dish cloth fringed. 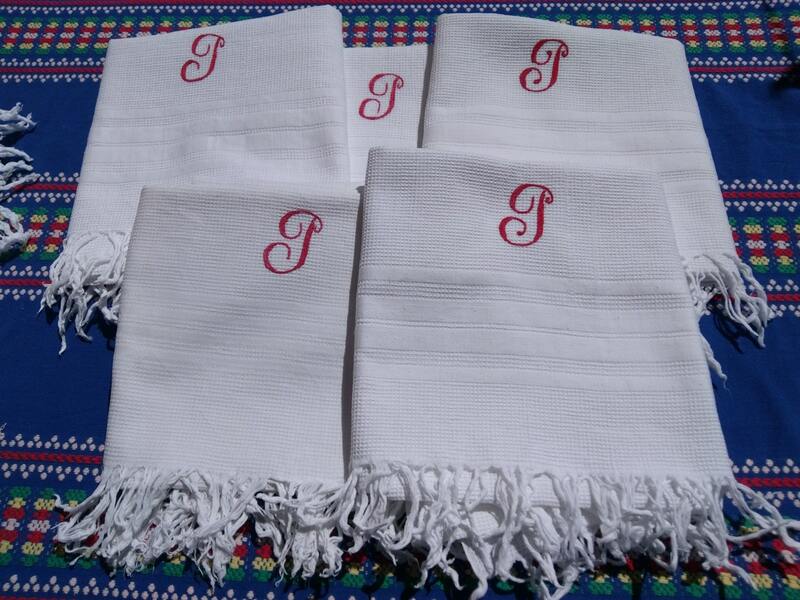 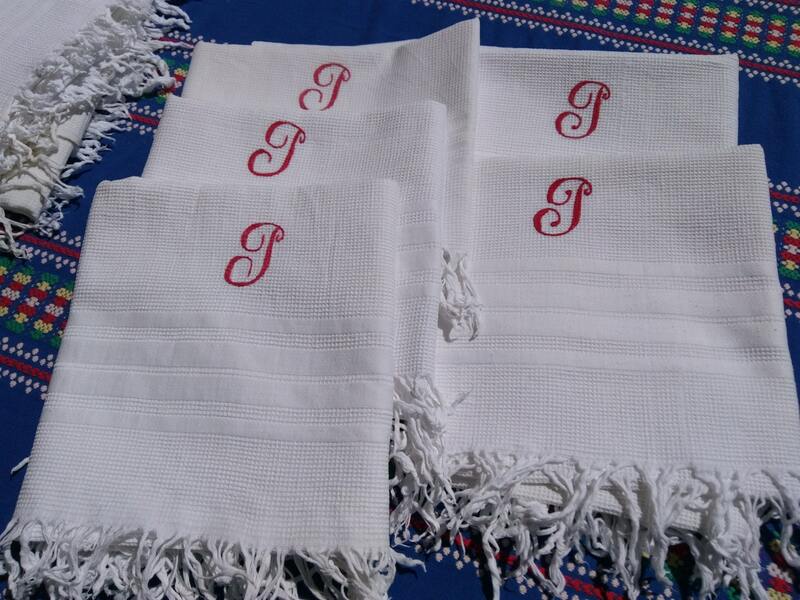 White kitchen towel with red monogram . 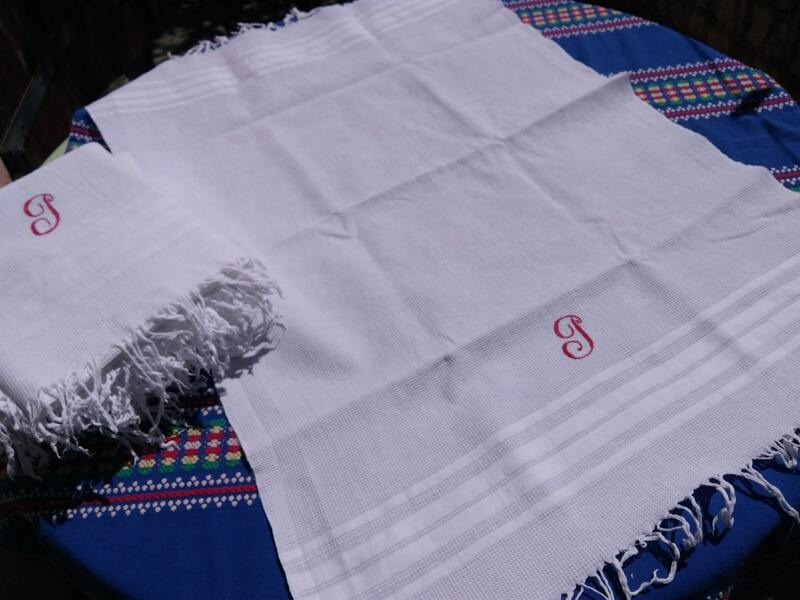 Cotton made. 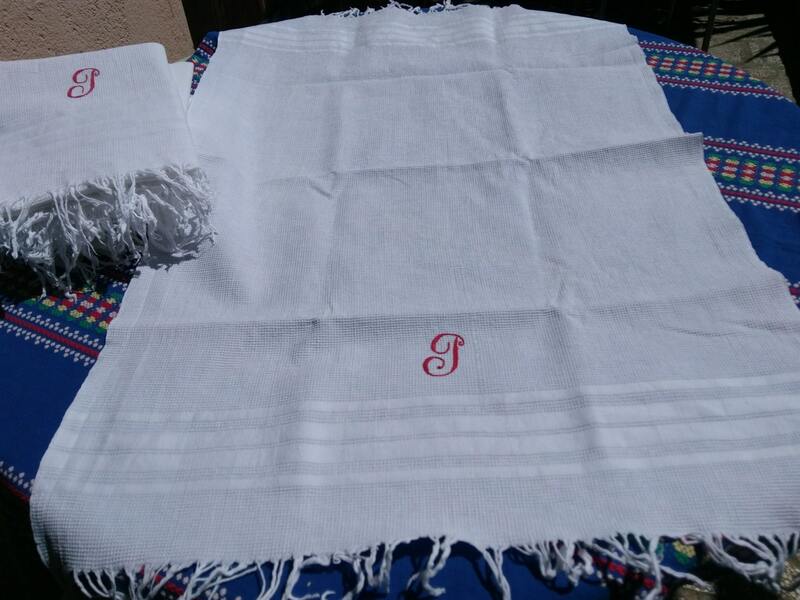 Beautiful Antique French kitchen towel.